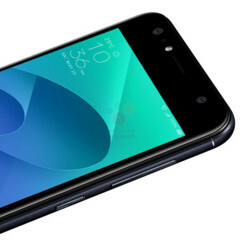 Although these new models have not been announced yet, the product listing pages for the ZenFone 4, ZenFone 4 Selfie, and ZenFone 4 Selfie Pro went live on Asus France's official website. Although it is not a top 5 smartphone vendor in most markets, Asus has an impressive number of handsets on the market. Its ZenFone lineup is expected to receive quite a few new models this year, and three ZenFone 4 models have just been spotted on the official Asus France website. All the models above have prices above the equivalent of US$470, but a cheaper ZenFone 4 has also been spotted. For around US$270, the 5.2-inch ZenFone 4 Max ZC520KL offers a Qualcomm Snapdragon 425 processor, 3 GB RAM, 32 GB internal storage, and a 4,100 mAh battery. Considering the price, we cannot expect a dual camera. The good part is that all the product pages mentioned earlier have been removed in the meantime, so they have been posted by mistake, and an official launch of all these handsets is imminent.